Spectacular, is the simplest way to describe this home, it truly is a one of a kind. 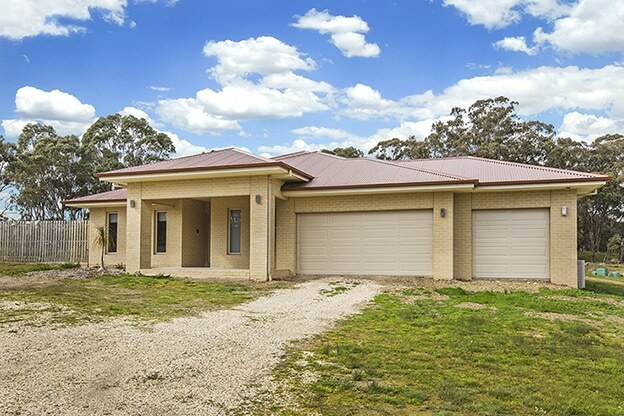 Neatly perched on approximately 4.94 acres only 1 kilometre from the main Broadford Township. The newly built designer home boasts a family oriented floor plan, with four large bedrooms, two bathrooms, large open plan living areas, theatre room, rumpus room and study, large laundry and double garage with added workshop plus a large Colorbond shed complete with power. The home offers all the creature comforts you would expect at this level, Fisher & Paykel appliances, reverse cycle ducted air conditioning, ducted heating, solar (for hot water) and high end bathroom fittings and fixtures. If you have been monitoring the local market no doubt you are aware that these types of properties sell before you can blink, this stunner will absolutely not be an exception to this rule.